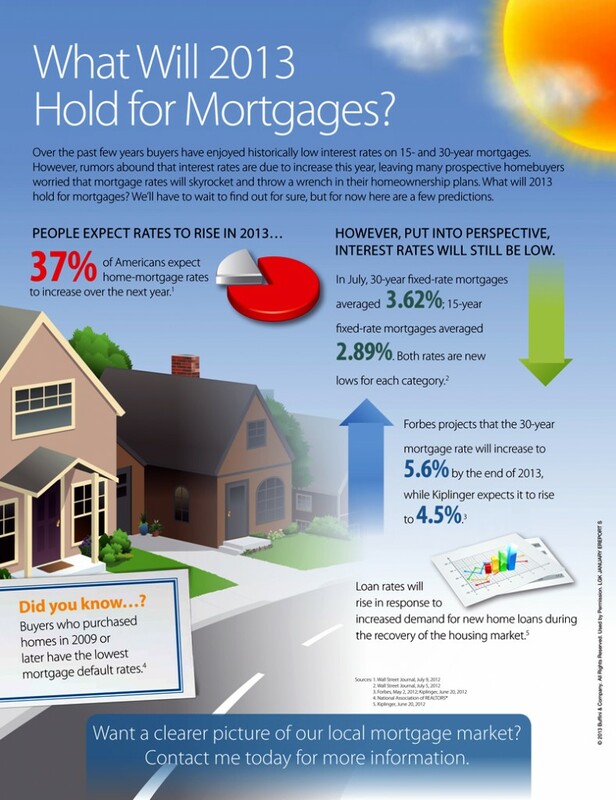 WHAT WILL 2013 HOLD FOR THE HOUSING MARKET? Many people are curious about what the housing market will look like in 2013. Since housing is seen as a leading indicator of economic recovery, even people who aren’t looking to enter the market are anxious to see if this will be the year that the market fully recovers. This month’s information may help you understand the status of both the national and local housing markets. The first page offers predictions and projections for the national housing market this year. Page two provides three reasons why it’s important to pay attention to what’s going on in your local market. Although the national market can give you an idea of the overall state of housing, only the local market directly impacts you and your home. If you want to learn more about the local market, or are thinking of buying or selling your home, contact me for more information.